A number of ladies opt for cleaning their make-up and foundation brushes with specialised wipes. Naturally as the wipes are designed specifically for that purpose, they are exceptionally effective in removing dead skin cells and make-up residue from the brush. There is one problem though – these will cost you nearly a fortune. Why waste money you can spend on something more useful? Prepare your own brush cleaning solution using organic products like purified water, white vinegar and liquid soap. It would be best to add a few drops of your favorite essential oil. Thus, the detergent will smell delicious, and the oils will help eliminate the vinegar's aggressive odour. If you have ever watched a western movie, you have probably noticed pouring liquor over an open wound was the most common and efficient way to prevent an infection. 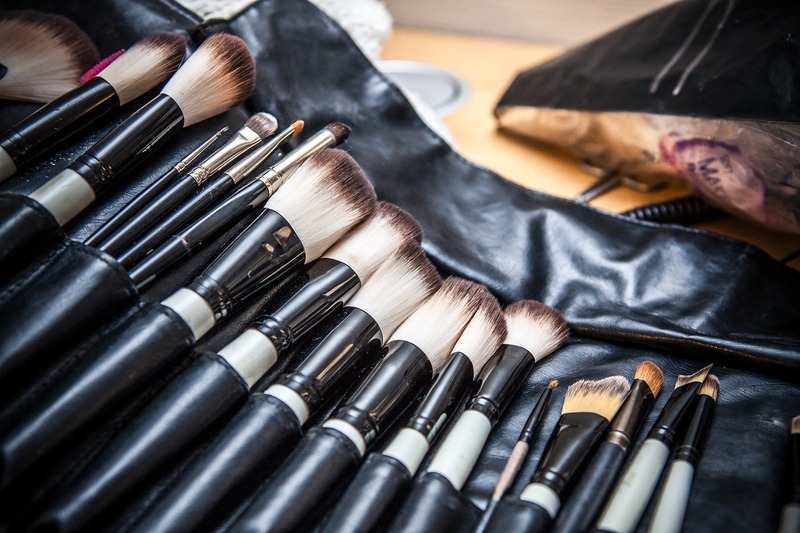 Not surprisingly, you can use alcohol to disinfect your make-up stash. And the best part is it won't cost you much as you probably already have a bottle somewhere in your home in case unexpected guests drop by. Begin by washing your brushes in the sink, but make sure you use baby shampoo as it's safer and more gentle. Rub the hairs carefully until a soapy foam forms and then rinse thoroughly under lukewarm, running water. Pour alcohol into a cup and swish the brush in the solution to disinfect it. Using alcohol as a disinfectant comes with a number of advantages. It will not damage the gentle hairs of your brushes and evaporates exceptionally quickly. You can also use it to disinfect your tweezers, eyelash curlers, as well as your make-up itself. Just pour undiluted alcohol into a smaller spray bottle and spray directly on your make-up palette. We all are well familiar with the numerous health benefits of incorporating olive oil into our diets. It turns out olive oil has a number of applications in cleaning too! You can prepare your own brush cleaner by mixing two parts liquid antibacterial soap with one part olive oil, but make sure you use the extra-virgin kind for optimal results. It would be best if you mix the two ingredients in a clean, ceramic plate. Whatever you do, don't pour the mixture into a paper plate – the oil will soak through. The next step involves wetting the brush under lukewarm, running water before you dip it in your oil and soap mixture. If necessary, use your hands to spread the oil evenly. Rub well, but be careful not to damage the hairs. Then rinse under running water and repeat the procedure again in case there is any remaining make-up residue between the hairs. Castile soap poses as a nice alternative for those of you, who wish to skip on using liquid antibacterial soap. This type of soap is available both as a liquid and as a hard bar of soap and is made from olive oil and soda. You will have to grate the hard soap into a cup of water and stir until it dissolves completely. The liquid Castile option is more convenient. The procedure suggested by HouseCleaners North London is the same – you rub the hairs with the soap until foam forms and then rinse under running water. Cleaningyour make-up stash is essential but more importantly, make sure you do it on a regular basis. This is the only way to maintain a sufficient level of hygiene and spare yourself the annoying rashes and allergies. It would be best if you pass on the store-bought specialised products and swap them for the natural disinfectants we have suggested above. All of them are tried and tested so they are guaranteed to work. Bio: Harriett is obsessed with cleaning and turned this obsession into business. Now she runs House Cleaners North London and loves her job. Thanks so much to Harriett for the fantastically informative guest post! If you would like to submit a guest post to the blog, please don't hesitate to get in touch.